Jidai(era) : about Edo period. 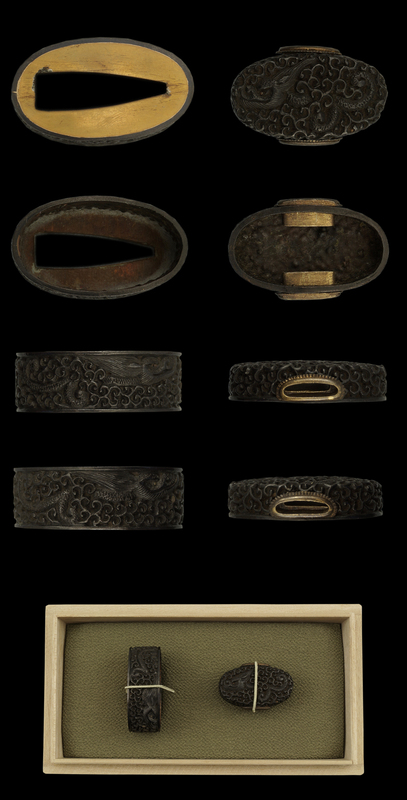 Special feature : On the Shakudo plate, dragon and karakusa pattern are engraved. COndition is rather nice.